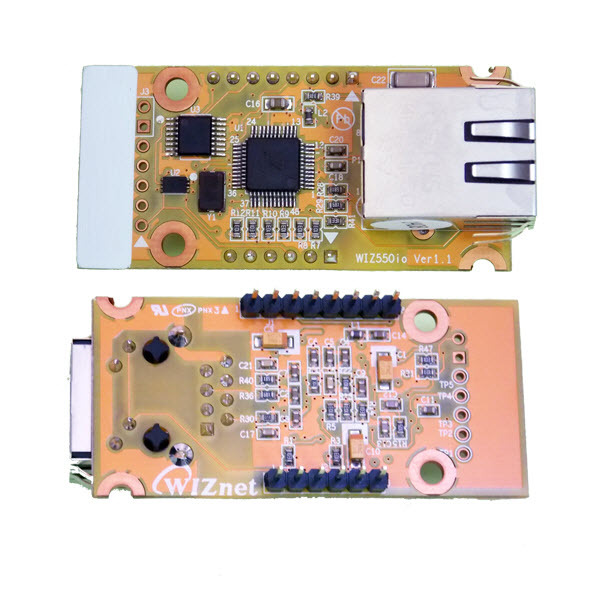 WIZ550io is an auto configurable Ethernet controller that includes a W5500 (TCP/IP hardwired chip and PHY embedded), a transformer and RJ45. It has a unique real MAC address and configures the network setting automatically. When powered on, WIZ550io initializes itself ... with embedded real MAC and sets the default IP address (192.168.1.2) and it can be pinged. Therefore, users are not required to write MAC and network information like IP address, Subnet mask and Gateway address. 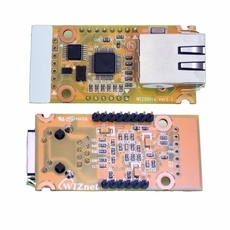 The WIZ550io is an ideal product for users who want to develop their Internet enabling systems rapidly.